Looking to maintain your coloured hair but don’t have the budget for high-end products? These 4 products were all purchased for less than £8 from bargain high-street stores + supermarkets and are great for coloured hair! Both available at the pound store for… you guessed it £1 each! 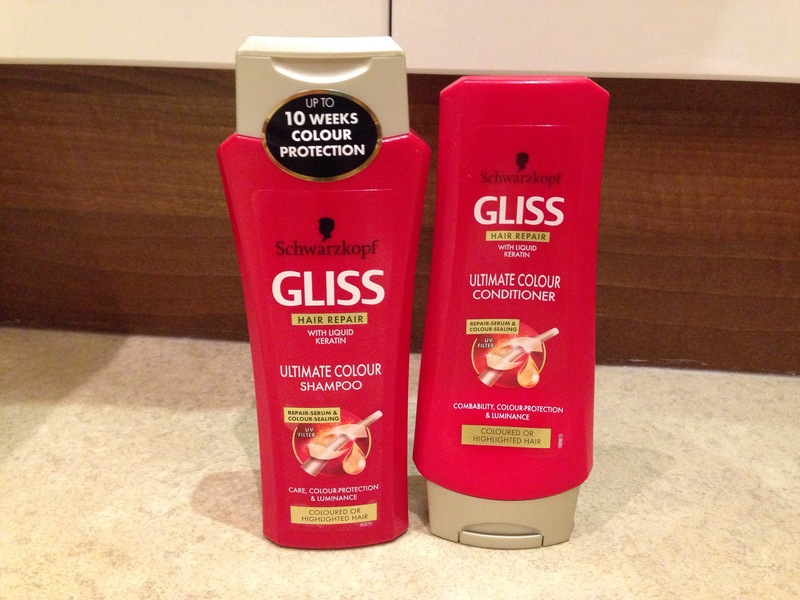 This shampoo and conditioner is fairly new and a great alternative to other colour specific shampoo and conditioners you see on the high street shelves with a slightly larger price-tag attached! Providing great colour preservation and adding loads of gloss to the hair, this product claims to give ’10 weeks of colour protection’ and it certainly helps my hair to stay vibrant for a little longer – that much is apparent! When rummaging the shelves of my local Sainsburys for a much needed dry shampoo and being disappointed by the large cost of my usual go-to choice – Batiste, I decided I needed to find a cheaper but equally good alternative. 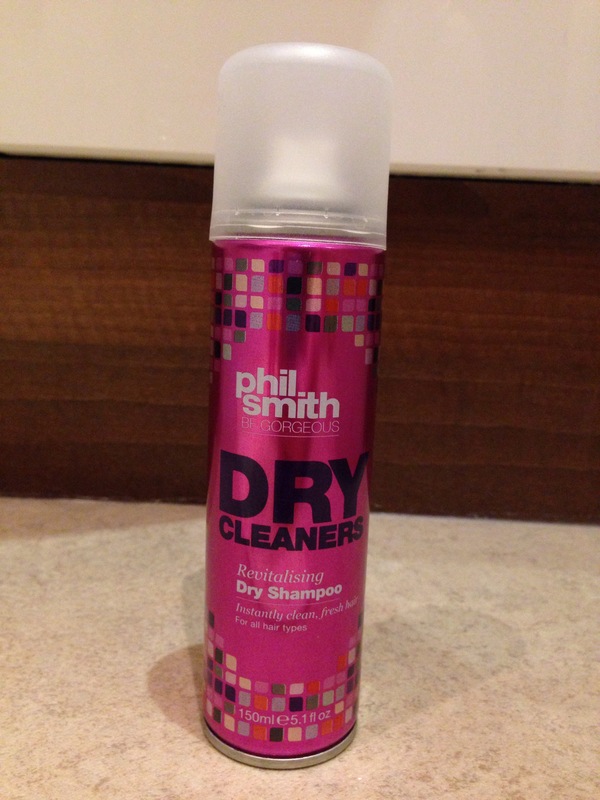 Low and behold, I discovered this Phil Smith dry shampoo, available for just £2 – half the price of the Batiste alternative! 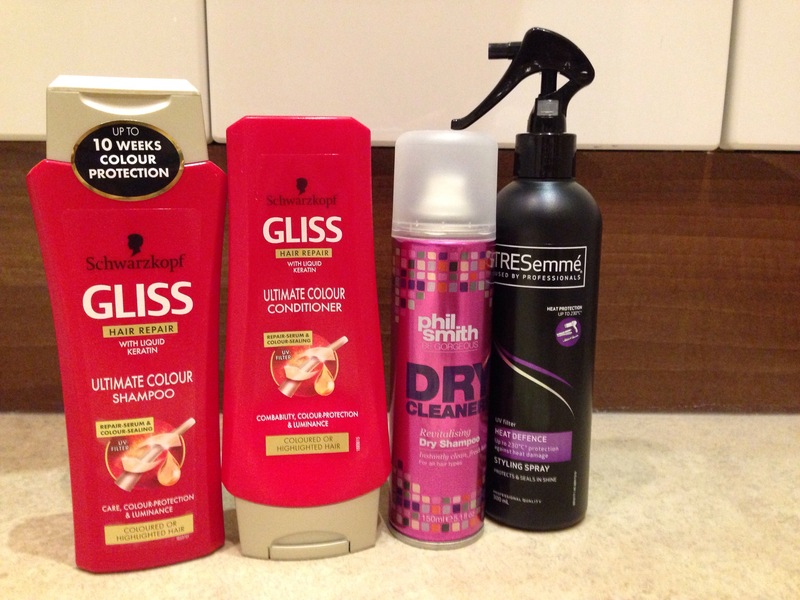 After just one use, I’m a complete convert to the cost-effective product, so why does this impact my coloured hair? Well, to retain my hair colour for as long as possible I’m trying to reduce the amount of washes I put my hair through – hence the need for a really deep nourishing, volumising dry shampoo. The best thing is that you have the choice of two dry shampoos within this range, whether ‘Volumising’ or ‘Revitalising’. Heat defense is one of the most important parts of protecting coloured hair and yet, many of us forget to purchase products with this in mind. 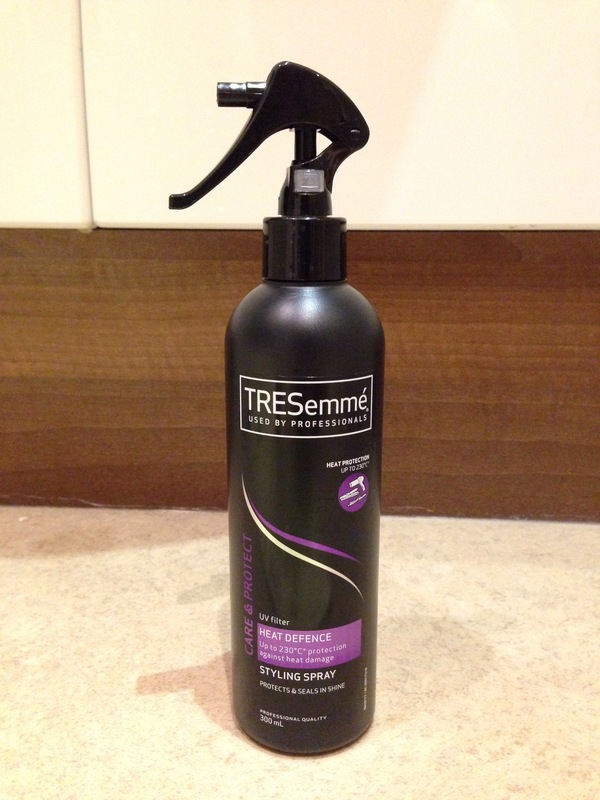 This extremely affordable, nourishing TreSemmé spray leaves the hair feeling really sleek and shiny, claiming to protect against 230 degree heat – which is completely worth the reasonable price-tag in my eyes. Have any tips or products to share? Comment in the space below.